We welcome you with coffee and we present our base and staff to you. Our guides will give you all the instructions you need to get ready for your activity. A wet-suite will be worn over your own swimsuit, life-jacket and helmet must be worn as well. A bus will transport you. You're not afraid to get wet and ready to go downriver? 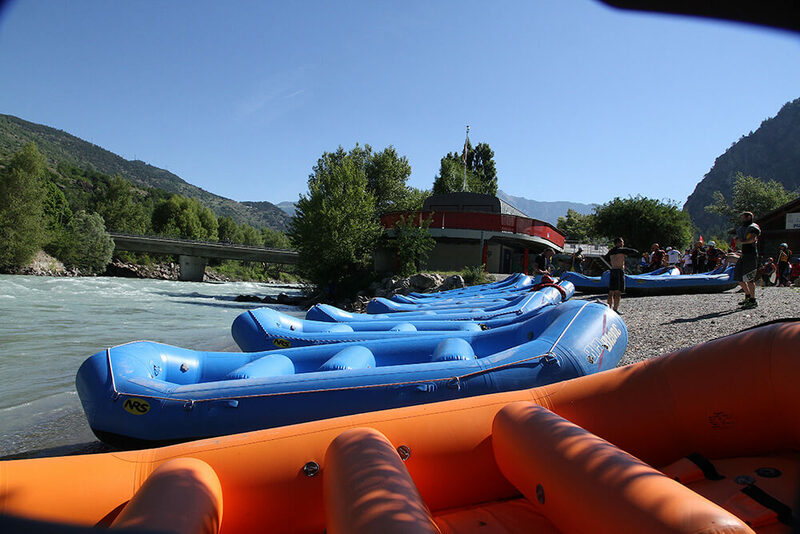 Going downstream there are several rapids; ""Le Rabioux"", ""Les Roberts"", Rapids de Zaza"", ""Le Pont de Fer""...) Be aware of the first wave! Debriefing with your guide and your crew. It's possible to watch different videos and photographes of your adventure. The time to complete the wild water activity is about 3 hours..
To participate it's necessary to be in good health and you must be able to swim for the wild water and canyoning activities. You must be conscious that these activities are not without risks. Before the activity you have to sign a form of consent in which you accept the conditions of participation and security. A parental authorization is necessary for all minors. 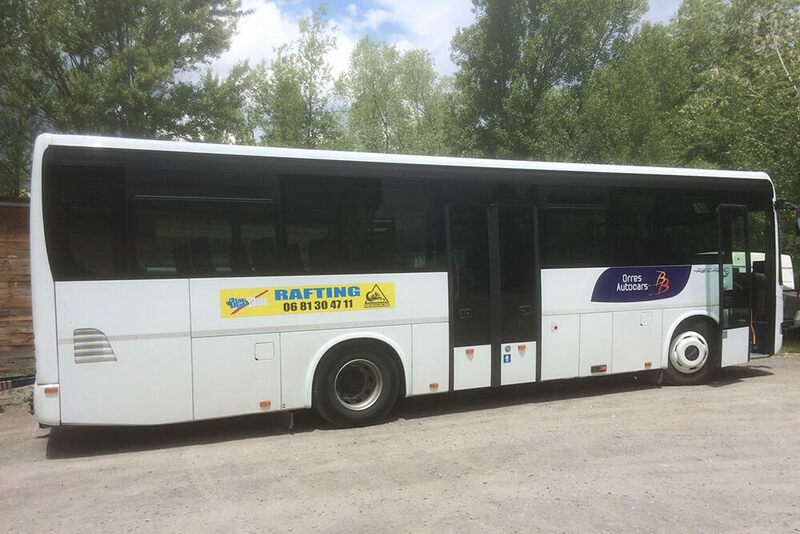 Available for you are the equipment and materials which are approved and comply with savety standards: Self-bailing boats, helmets, life-jackets, paddles, wet-suites and other gear if necessary. De Bleu à Blanc reserves the right to rectify, with or without prior notice, the programme depending on weather conditions (flood, dryness, etc.) or safety conditions. The guide can reject a participant if he doesn't correspond to the minimum of conditions asked (be able to swim, age, physical condition, etc.) De Bleu à Blanc declines all responsabilities for lost of personal belongings and injuries. The number of persons seen initially, will be charged on the bill. 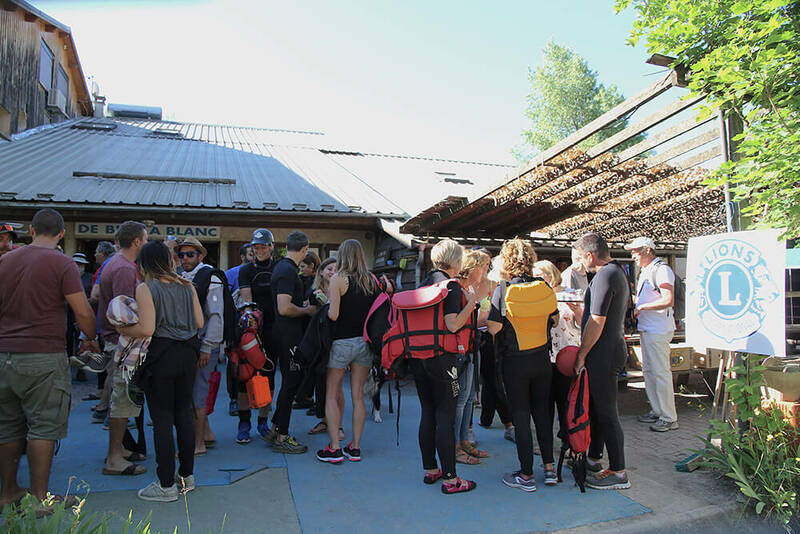 No refunding will be done for last minute cancellations unless you have a medical certificate or medical advice not to practice the wild water activities. No refunding will be done in case of bad weather, if De Bleu à Blanc judges the conditions are without danger and the activity is assured.